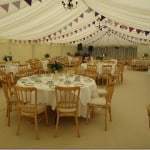 Wedding boasts 100m worth of homemade bunting! 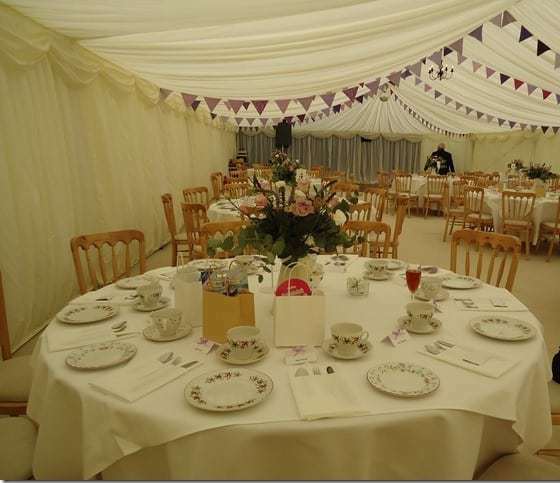 Congratulations to a lovely couple who marked their wedding celebrations with over 100m of homemade bunting – Ruth, your sewing machine must have been smoking! 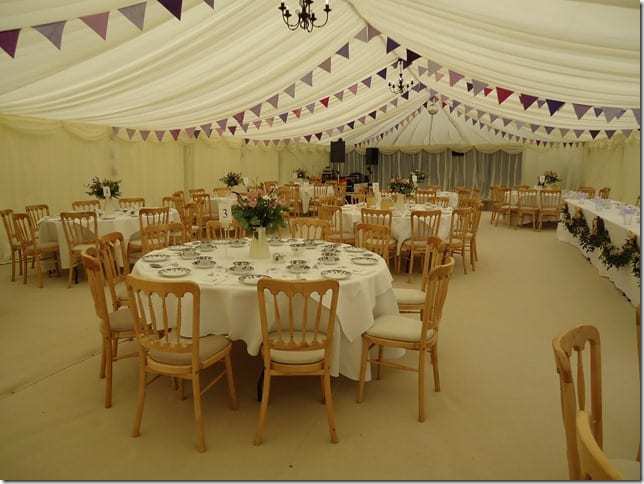 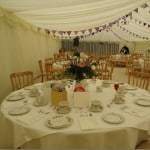 Luckily the weather held up and everyone could appreciate what the local caterer said was ‘the best marquee he’d ever worked in’ as well as enjoying the nuptials of course! 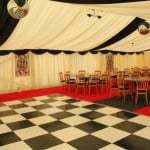 Another round of golf for us this year as we provided Sky with a marquee for the second year running during the PGA golf. 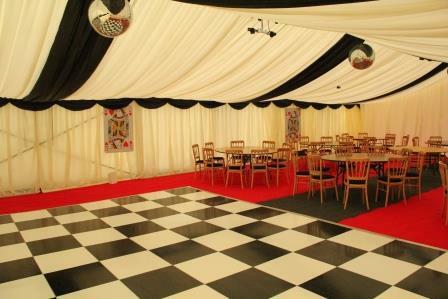 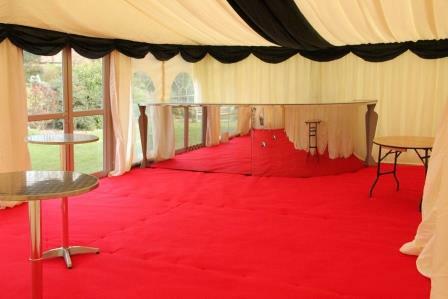 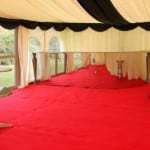 marquee, big, bold and bright with 4 revolving mirror balls it wasn’t hard to get this party started!